Recently, I’ve been getting angry. In May this year, the Australian Government announced a federal budget that will see the abolition of free health care, the elimination of the financial safety net for the unemployed and radical changes to the way in which education is funded. Unsurprisingly (since these changes will affect a majority of the population), people have been responding. 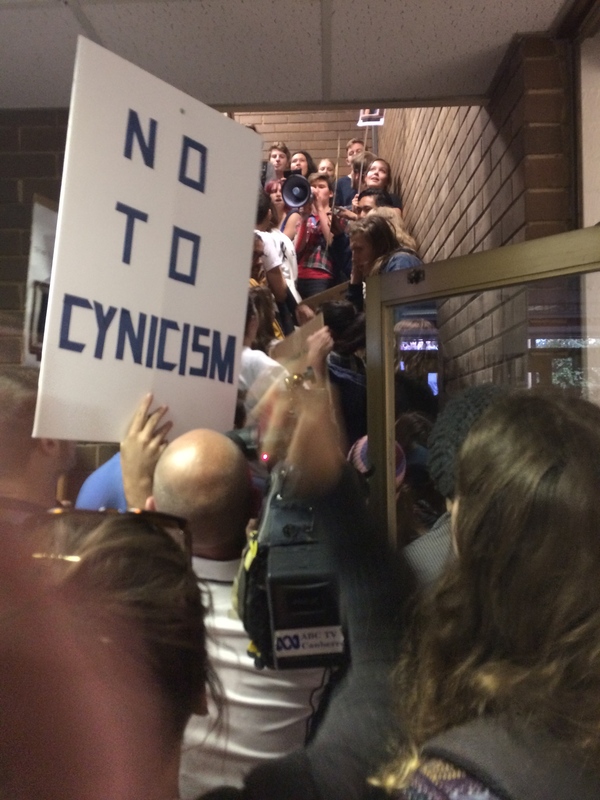 At my own university campus, there have been a number of actions including a rally on May 21 that saw over 500 students descend on the Chancelry and occupy part of the building. People at the rally were angry – they banged on doors, chanted and held a speak-out where students could express their rage and frustration at the university administration who are in full support of the proposed changes. Since the rally however, there has been a huge negative backlash with students being portrayed in the media as violent, irrational and dangerous. In response, students have been taking to more pacifist actions to demonstrate that their concern is legitimate and debates are being held that request students to engage in “polite and respectful discussion”. It seems anger has lost its currency. But what might the value of anger be in these circumstances and why should we be wary of the delegitimisation of this form of expression? 1. Anger, if seemingly uncontrolled, is coded as dangerous man or irrational woman. The dangerous man: i.e. the Hulk. 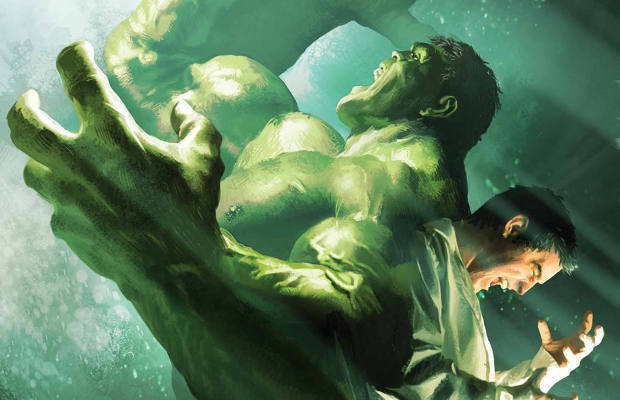 The Hulk represents the threat of a mild-mannered man losing control and become savage to all those around him. He is a destroyer of all that is in his path, sometimes for good, but often for bad – you cannot trust this man to do the right thing as he lacks self-discipline. The irrational woman: i.e. the Crazy Cat Lady. The Crazy Cat Lady is a figure of the terrifying and inevitable evolution of a woman who expresses her anger. Alone, she is isolated from society, treats other creatures with both love and disregard and has lost touch with reality to the point that her speech is unintelligible. 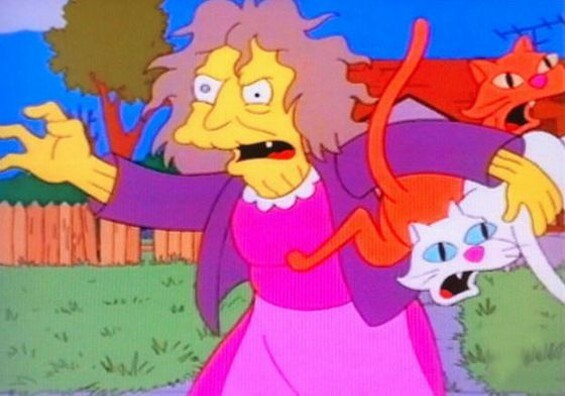 The Crazy Cat Lady serves as a warning. The corollary to all this is that if we see anger as the ultimate negative, we end up heralding cool-headed, calm and collected as the modes of being par excellence. This avenue cannot escape the clutches of gendered expectations, where sensible debate and discussion is overwhelmingly dominated by men, while women are expected to listen from the sidelines. After all, who is more cool and calm than the rational thinking man? The rational thinking man: i.e. man. 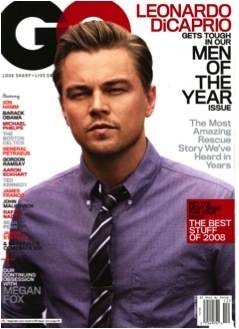 Since Ancient Greece, men have been seen as the ones up for considered debate, nutting out the problems of the world. They are thoughtful, pensive, rational. Anne Cranny-Francis has described the figure of the male thinker as, “self-defining and self-sufficient. Coded as male, he is fully conscious to himself, in control of his actions, thoughts and meanings”. The rational thinking man has evolved from philosopher king to suave and well-dressed man of the year; always well presented, he is James Bond without a gun. Strategic, charming, independent, and not afraid to sit down and play poker with the bad guys. The passive woman: i.e. woman. In contrast to rational thinking man is the woman underneath him – coded as passive, she listens to the rational man. Entrapped by her own bodily limitations (as she is more body than mind), she must take the role of the quiet seductress as she finds her own power to control rational thinking man through the only thing she has – her body. She learns the difficulty of sharing her own views – being told to be quiet, being talked over, being ignored. If she speaks up she is marked as overbearing – and well on her way to Crazy Cat Lady land, a lonely spinster life. Of course, that is not to say that women cannot aspire to be philosophical thinkers (I did my honours in philosophy), but the gender coding in this realm is strong and women are certainly not expected to be part of this. Indeed, the discipline of philosophy itself has an awkwardly long history of marginalising women. We can easily see these codings playing out in the media’s depictions of students. 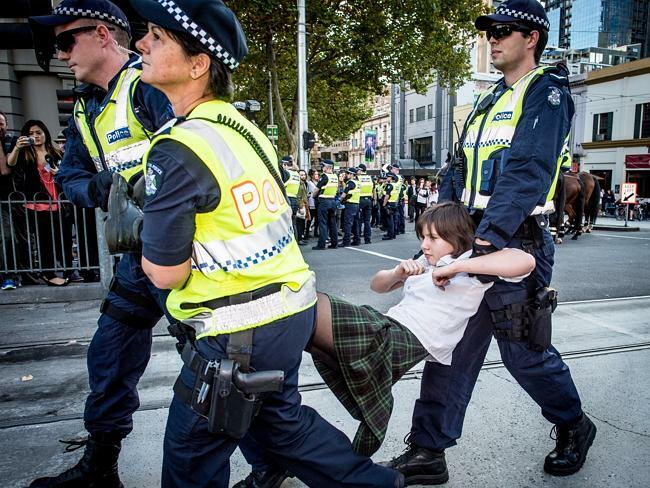 Following the May 21 protests in Melbourne, images emerged of a fifteen year old woman being carried away by police (obviously an attempt to save her from the ill-fate of the Crazy Cat Lady she seems destined to become). Unsurprisingly, those in power responded by stating that “if only” the young girl had tried a more sensible route, none of this would have happened. For example, the Herald Sun reported Prime Minister Tony Abbott’s remarks following the young girl’s protest: “If that young woman had sat down and from her honest perspective written directly to the PM to say ‘here’s what I think about your Budget, here’s why I don’t like it’, I would be much more inclined attention to pay attention to that to see her being dragged away from a protest”. In effect the young woman was told to quietly participate and join in a sensible discussion with those that hold the ultimate power over the fate of her education, within a system where she does not even have the minimum access to democratic expression – the vote. Closer to home, The Canberra Times ran with an image of one of the female students who was leading the rally, screaming as a security guard attempted to stop students entering the Chancelry. The headline below read: “Students hole up vice-chancellor in day of anger”. Through the use of this image, the student was used as the “face” of anger. She spoke directly to the media afterwards, but remained marked as unintelligible and was not quoted in the article. Discussions circulated that students should avoid violence and this front-page image hovered in the subtext of these conversations. Anger we were told, was a violent response. In stark contrast in the week following the rally, another student started up an imaginative and radically different form of protest outside of the Chancelry – a read-in – where people could come and study in front of the doors, to highlight exactly what was being threatened in these cuts. Men and women alike gathered every day, united in their vigil for education, sharing political philosophy texts and ideas with each other. However, when power (i.e. the vice-chancellor) entered this realm of debate on the three occasions he visited the read-in, he unsurprisingly promoted discussion that was on his own terms. Students attempted to engage him in their utopian vision of thoughtful debate, but an obstacle remained. He had no stake in actually listening to students apart from appearance, and he brought down his PR person who took photos to make sure it was successful. It quickly became apparent that the VC benefitted from the image of rational thinking man, where we all appear to figure it out together when in fact we don’t (as the CCTV they immediately installed above the read-in demonstrated). This is not an argument against philosophy or considered thought (or men!). However, we need to be very careful about championing rational thinking man as the figure of success, as this becomes deeply problematic once we enter the realm of rational debate with those already in power. Though reasonable discussion might sound great in theory, issues arise when a minority hold power over the majority, and it is left to the powerful to dictate discourse and discussion. Obviously there are huge benefits to students having discussions with each other about the ethics of how to tackle issues. But when those in charge come to play, it does students no service to accept the terms of their debate. Students should not accept their idea that anger = worst possible reaction. 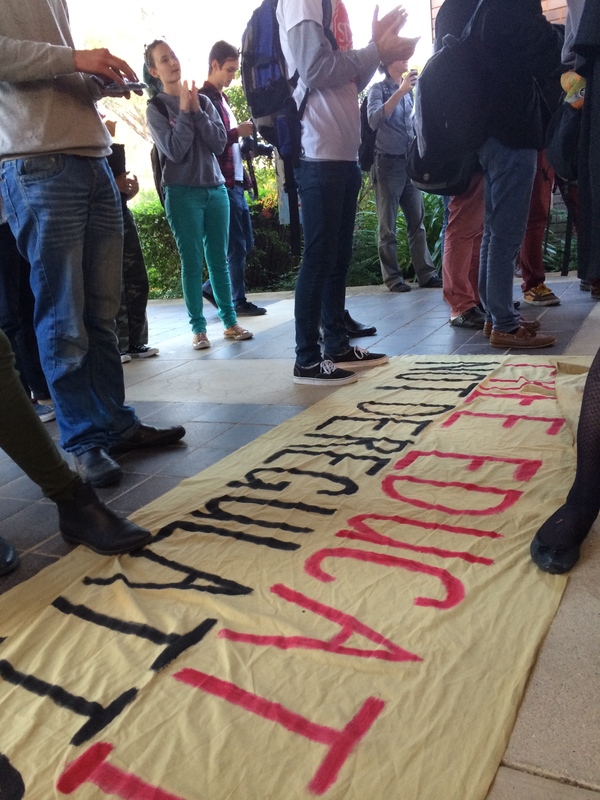 Why wouldn’t students be angry at being marginalised? Is that not anger-making? As I have outlined, we need to remain radically skeptical about the way in which these emotions are coded along gender lines. We also need to be extremely careful that in our encounters with authority we do not give more power to power, when we accept the figure of the rational man. As for the utility of anger, it seems to me that the Hulk and the Crazy Cat Lady have a lot of potential – after all, things will need to be radically destroyed and a new language created before we can really get on with sensible debate. This entry was posted in Gender, Men and tagged anger, Australian Government, budget, emotions, gender codings, Marx, May 21, politics, rational man, student protests, Tony Abbott by binarythis. Bookmark the permalink. Thanks for this. I’ve been looking for a good analysis on the reason vs emotion debate and how this relates to gender roles for a long time and this just made my day. Digressing on your argument, I’d say that this relates to a very important point you make in another post – how behaving strictly according to the male/female divide takes a lot of work and is not inate. I’ve been engaged in the animal liberation movement, which has a much larger percentage of women than other movements, and have seen how the movement is often attacked for being too “emotional”. This leads to some people (mostly men) to argue that the movement should reject “extremist” and “violent” tactics such as… saying that bullfighters are sadists. The contradiction then comes when these self-appointed leaders violently attack those who aren’t “peaceful”, well-behaved, calm, etc., by basically presenting people who express anger towards those who hurt animals as hysterical or even (potential) terrorists. In the neverending discussions I’ve had on this subject, it always comes to my mind how an important debate about tactics is contaminated by myths regarding rationality. Also, I see that the debate is often reduced to a dichothomy of the aggressive macho vs the reasoned philosopher. I can’t identify myself with any of these categories. I will be aggressive and angry (without being a macho) if that is necessary and I will be the guy who writes reasoned articles (without assuming that reasoned is opposed to emotional) if that is more effective. This is not just because it reflects my beliefs but also because I think that macho tactics (be it the Schwarzenegger or the Socrates version) exclude women. I think it is very important to make the point that it being angry at injustices is an appropriate response. In fact, I would go as far as to say that if the students in Australia were to throw a pie into the Education Minister’s face that would be a far less violent act than what that prick did. How to express that anger in a constructive way, that’s up for discussion. But let’s not repress our feelings over an idealized image of the “rational man”. “Rational men” are already in power in most of the world and the result is worse than terrible. Reblogged this on Joseph Hill's AS English II Classes at Carlmont High School. I would like to thank you for your article, ‘In Defence of Anger: Taking a Break from the Rational Thinking Man’ (1 June). It counts among those thoughtful writings addressed to the events of the past few weeks – events that signal, simultaneously, watershed changes to Australian society and the perpetuation of deeply routed prejudices about who can speak and be heard in the public sphere. Your article has many strengths. It is a talent jealously sought after to be able to communicate the reified arguments of academic debate – here you treat the deconstruction of the reason/affect binary – in a way that is compelling and accessible to a popular audience. But your greatest strength is to bring attention to the assumptions that underlie how the public sphere is constituted on the basis of assumptions about gender and rationality. 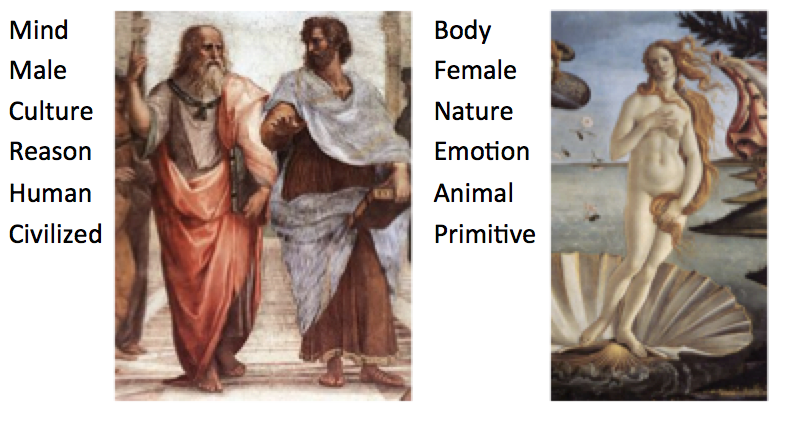 Throughout the history of Western philosophy, the feminine has been the other of reason – a site of emotion and affectivity that is excluded from the sphere of rational debate. What is disturbing, as you note, is that these assumptions animate much of the reporting in the mainstream media in Australia, especially those unabashedly partisan papers owned by Rupert Murdoch. I do, however, have some reservations about the way that your article situates the ‘read-in’ in your wider discussion about affect and rationality. I took this an invitation. It was an invitation to reappropriate the space outside the Chancelry as a way of manifesting a shared discontent over the changes that the Abbott government had proposed for tertiary education, changes that our Chancelry had supported before the budget was even announced. The problem, almost from the start, was that the media insisted on interpreting the protest in terms of a single word that I used at the end of my statement of intent: “pacifistic.” The protest was, no doubt, pacifistic, but it was many other things as well, such as “humble.” But the media’s angle was as it had been with all the other student protests: it focused on the means used by students rather than their concerns. The ‘read-in’ too was interpreted in terms of the question of means. 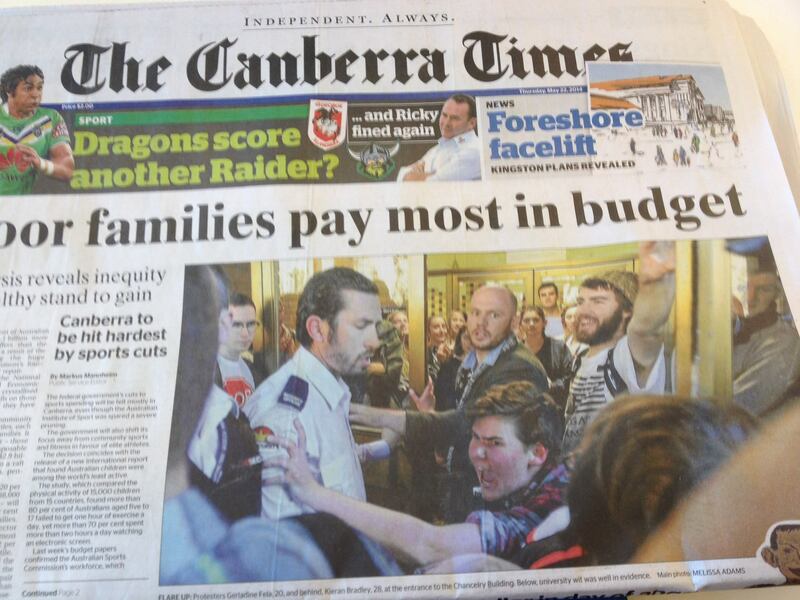 The article in The Canberra Times (‘Read all about it: ANU student launches read-in protest against university fee hikes’, May 26) opened with the almost hyperbolic description of it as “an effort to re-frame student activism in Australia” and then tried to link it to Annabel Crabb’s article, ‘Student’s Soviet-era anti-budget protests outdated in our era of communication.’ Crabb had reprimanded the student protests in The Sydney Morning Herald day before (May 25), even going so far as to contend that students were hypocrites: “They accuse [Abbott] of extreme conservatism. But if conservatism is the stubborn refusal to evolve, then fighting a war of ideas with Soviet-era artillery strays awfully close to the mark.” Crabb’s disingenuous contention that the ‘era of communication’ somehow made mass demonstrates obsolete fitted within the overall narrative of the media – a narrative that focused its attention on criticising the means of students rather than engaging with their concerns. However, while the media created these misconceptions, they were reinforced by the visits that Ian Young made to the read-in. 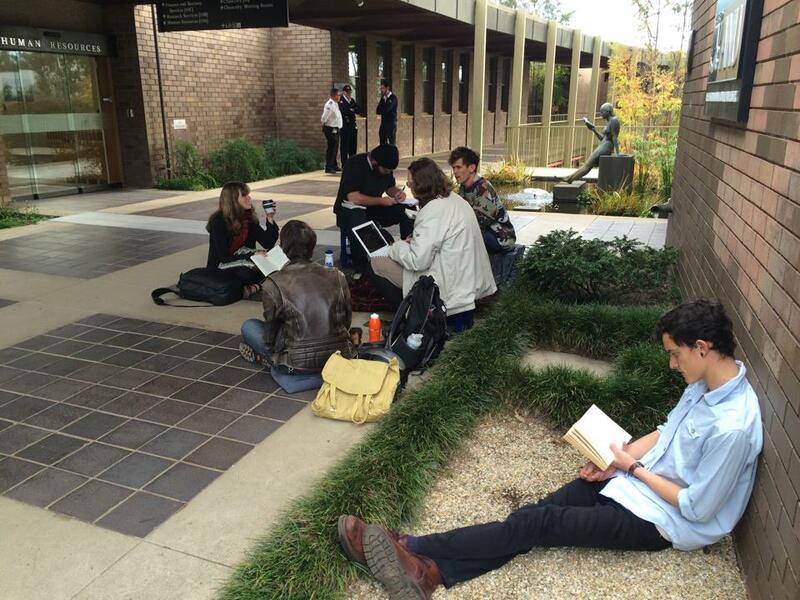 At the beginning of the read-in, I never anticipated that anyone other than concerns students would join us. I imagined that our presence outside the Chancelry would act as a conspicuous reminder of the concern that students had about these changes. Yet on the Monday a number of students at the Education Action Group meeting crossed paths with Ian Young as he was leaving his office and some of them organised for him to make an appearance at the read-in the next day. This is a serious contention. It is serious because it would mean that the read-in created an exclusionary space in which those who expressed emotion and anger were marginalised. I concede that, at times, the read-in took forms that none of us could have anticipated. This was inevitable given that it was an action that was experimental, non-hierarchical and diverse in nature. However, to suggest that the read-in was co-opted by hegemonic ideas about rationality would be a considerable misrepresentation. The read-in was not an action in opposition to emotion, but an attempt to enact emotions in a novel way. This enactment was motivated by the writings of the radical feminist, Judith Butler, who has been a constant inspiration not merely for me but, as I gathered from our conversations, to you too. It was for that reason that I cited the closing remarks of Butler’s book Dispossession: The Performative in the Political to describe the protest: “the collective assembling of bodies is an exercise of the popular will, and a way of asserting, in bodily form, one of the most basic presumptions of democracy, namely that political and public institutions are bound to represent the people […]. In this way, those bodies enact a message, performatively […]” even when they do simple actions, such as reading. Just as reason can be marginalising to students who have legitimate concerns, anger can also be alienating and destructive. Just as there is a violence of reason, an exclusionary violence that silences voices of those who are deemed irrational, there is no less dangerous violence of anger. The challenge – a task that is as difficult as it is necessary – is to deconstruct the binary itself by demonstrating the subtle ways in which emotion and reason intertwine in political life. That is what I found strange and promising about attempting to make reading itself something subversive. While we may not, as you suggest, have been entirely successful in this endeavour, I know that you share our wider discontents. In the spirit of this shared opposition, I hope that we can continue to combat these changes together as part of part of a wider student movement; a movement with a variety of tactics, form the mass demonstration to the humble read-in. Liberation psychology speaks of the role of anger as a means of protest, when all else fails. There’s also some interesting work on EQ, and the way that anger and anxiety are cast out of favour as a way of maintaining the status quo. I have some difficulty with the idea that people should always act respectfully/passively, when not treated with respect. Good post.